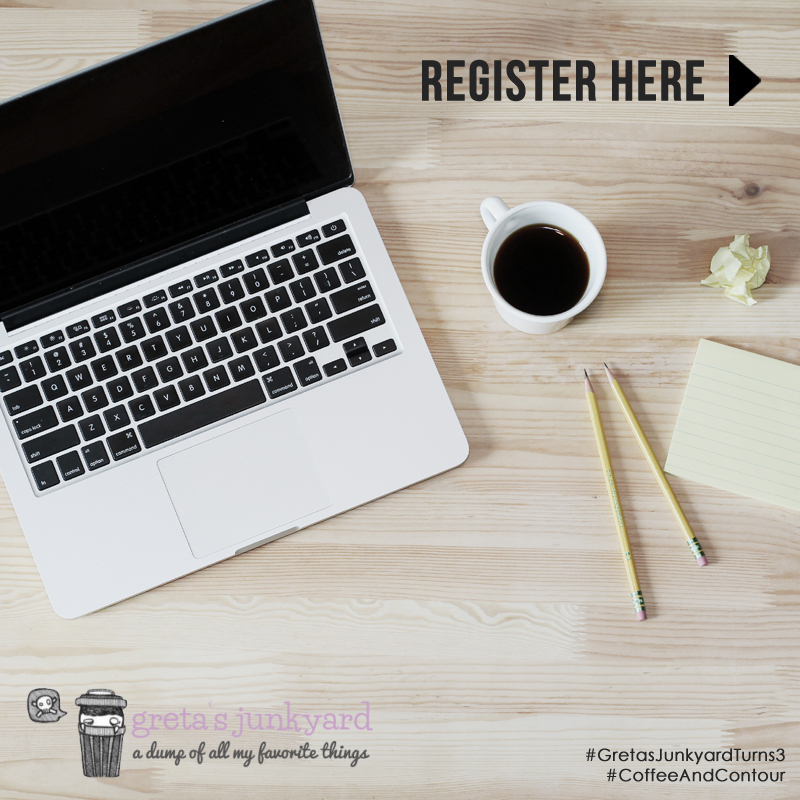 Can you guys believe it’s been a year since the Greta’s Junkyard Turns 2 Makeup Workshop? It was definitely a memorable event for me, as I got to bond with my Top 10 readers—so I wanted to do something special again this year! If you’ve been following me on Instagram for a while now, you’d know how much I love my coffee and makeup. So to celebrate my blog’s third birthday this September, I’m putting the two together by treating my sweetest readers to some coffee and a quick makeup workshop! Join me on September 18 (Sunday) from 1:30pm to 4pm at Craft Coffee Revolution in Cullinan Prime Building, 8 Missouri Street, Greenhills (same building as Dohtonbori and Anytime Fitness). The lesson for the afternoon will include how to contour and highlight according to your face shape. Don’t worry about the products! I’ve got you guys covered with a little something from Maybelline and Nippon Esthetic, plus a treat for your skin from GLAMGLOW. Just bring yourselves, a compact mirror, and if you have your own contouring and highlighting products that you’d like to bring, go ahead and bring them! Slots are limited so to be fair, I’ll open registration on September 1, 2016 at 12nn. I’ll post the link to the registration sheet here, so be sure to check back then. UPDATE: Click the photo below to register. The first 15 readers to sign up will be the lucky ones who get to go! So mark your calendars and set your alarms. 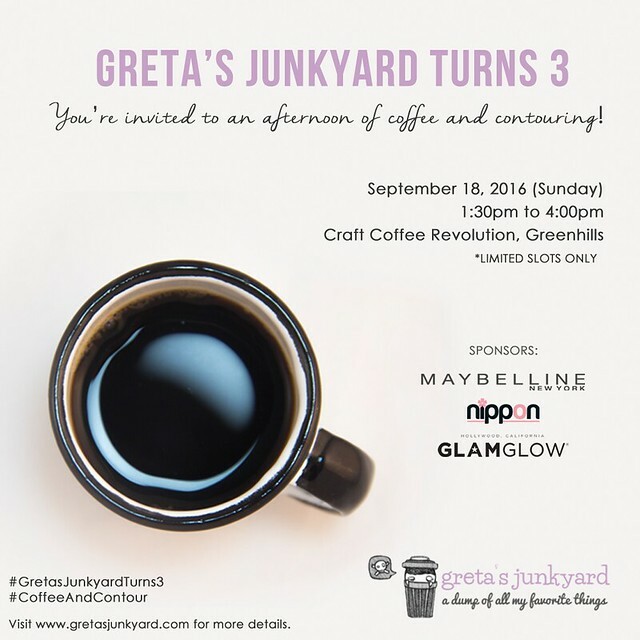 It’s going to be another exciting bonding session as #GretasJunkyardTurns3! Congratulations on your 3rd year in blogging Ms.Gretchen. Im a coffee monster and would love to attend your workshop.I just hope i can able to get a slot . I’ll make sure I have data subscription by Sept. 01 . Congratulation Ms. Gretchen Happy 3rd year of blogging Godbless!! !